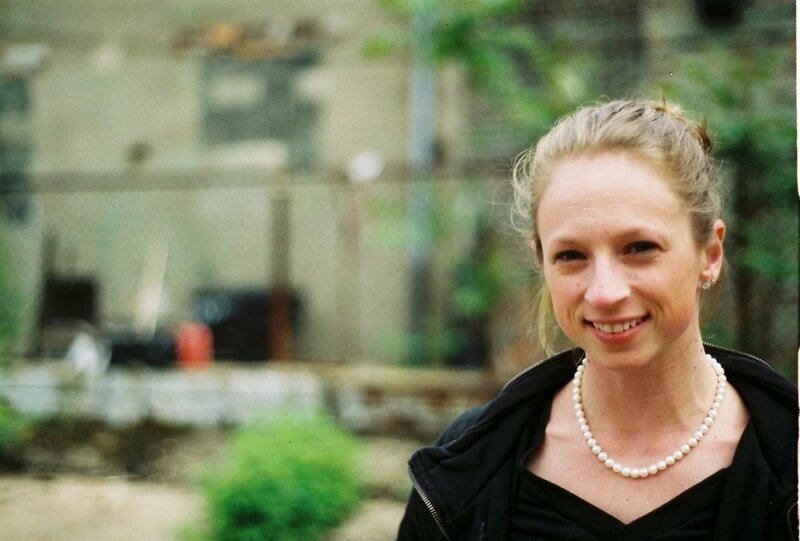 In 2012, Amy Swift founded Building Hugger with the intention of rehabilitating Detroit’s structures, in one way or another. Amy Swift grew up in Bedford. She took an undergraduate degree from Lawrence Technological University in architecture & interior architecture. She graduated in 2012 with a Masters of Science in Historic Preservation from Columbia University in New York, and has worked in corporate architectural offices in Chicago, New York and San Francisco. I sat down and talked with Amy at her shared studio space on East Mack. On the main floor, a man soldered metal lettering, and two of Amy’s workers made headway on a pair of windows while we talked in her small office located a few steps above. LIW: What led you back to Detroit? AS: When I left in 2006, I think Kwame had just been sworn in again, and things were pretty…sad. In 2011 when I came back I realized that I didn’t know much about the actual city. I had lived in cities, in San Francisco, Chicago and New York, because that’s what I wanted. I wanted to have a cosmopolitan lifestyle. I wanted to ride my bike. I didn’t want to drive on an eight-lane highway to go get a gallon of milk. I challenged myself and said “Can I make a life here?” I had been searching for home for so long, and I thought, well “this is home, so can I make a life for myself that I would be happy with?” Having worked for corporate environments for five years; I was burned out. The glass ceiling for women is real. I took a look at my life designing big hospitals in Riyadh (that I would never see) built by slaves and sort of being a cog in a design system that I was having trouble finding any passion for. The entire time I was away from Detroit, my perspective was always in reference to Detroit, so when I studied at Columbia and everyone was talking about development being a big pressure and an enemy of preservation, I saw development as a friend of preservation. Development in Detroit can mean salvation for a lot of buildings. LIW: When was it you decided to come back? AS: I got laid off from my job in New York and I needed to come home to finish my masters thesis anyway. I was in Japan in 2011 during the earthquake/tsunami/nuclear disaster. After I returned I was in the hospital for a week with a lung infection from something I was exposed to there. It was enough for me to even walk (graduation) let alone finish my thesis. So, I came home to finish my thesis that summer and I was supposed to go back to work in the fall, but when I called and said “Hey, when is my start date?”, they basically said don’t bother coming. So I ended up here as a fluke and for the first eight months to a year I was desperately trying to leave again. I was sending resumes all over — China, Middle East, anywhere that I could. I got a job offer in Rotterdam ith OMA nd ended up having visa issue. the spring of 2012 I had been home long enough that I really started to spend time in the city. I realized that the city was a very different plac. I had gained a very good amount of skills in the work that I had done that I felt like I was capable of trying something for myself so in 2012 I founded Building Hugger. It was incredibly vague, I just knew that I wanted to focus on rehabilitating structures. LIW: You started Building Hugger as a kernel and let it grow into what it is now? AS: I let myself be very open to the needs of Detroit. I think that a lot of times people move to Detroit with some idea of what they want to implement here without fully understanding what it’s like here and what Detroit actually needs to have happen. So, I just started freelancing design gigs. There are plenty of unlicensed architects that do that kind of work here. Before long I started saying OK, not only can I design that bar for you, but I will also build it. My design background became a value-added service to the construction process. There was certainly a lot of learning for me. I had merely done details, not really implemented the details so there was a lot of on-the-job learning. I failed a lot. LIW: Detroit was kind of conducive to you learning on the job? And experimenting with what it really means to be an architect in a city that doesn’t have a lot of room in its budget for design. People only call an architect when they need when they need drawings to be submitted to the city. They don’t call you because they need an idea. Everyone has ideas. People are very creative here. It’s a very creative city and always has been. To only be able to offer creativity and not the stuff to get it done — you don’t go very far. So I started doing. In 2012 I bought an auction property in Southwest. I call it the 2xHouse because there’s two houses on one lot. In developing the business plan for that project I was trying to cut costs in the re-development. I said – what can I take into my scope – I can’t get on a roof. I can’t do electric, but I think I can do windows. So I took a trades training through the Michigan Historic Preservation Network in spring of 2014 with the intention of simply using it for my own properties. They put me on a state list of qualified contractors who could do the work. The Detroit HDC found out about it and called me and said they wanted me to go into business for windows and I said “No, I don’t want to do that.” But as more people started to call me, I realized how great the need is for skilled trades in the city, so I decided to start taking jobs, small at first, but now this is growing into a full-fledged business. LIW: Talk a bit about how you came to start to doing work in Woodbridge. I was introduced to Larry in in the fall of last year through an other property developer – a friend of mine who owns some other properties around the city. I went in and did one unit for Larry, just myself. I did one, and he asked if I wanted to do the next one and by then I had hired someone to help me and to train them. Everyone I bring I have to train. LIW: Right, because there’s only three of you in the region. Yeah, it’s tough to grow. For the season I’d like to grow faster, to accommodate, but I also can’t grow any faster because I have to make sure that as I bring people in I’m training them accordingly – that they have the time to develop and do good work. It’s a blessing and a curse. It’s a good problem to have. LIW: What sets Woodbridge aside from the other communities you do work in? I think it’s very important to be able to scale services so property managers are able to repair and maintain the historic aspects of these properties. Preservation, to me, should be accessible to everybody. Regardless of whether it’s a home that you manage or a home that you own, regardless of your income. So what I’ve been focusing on and what I think is missing from the Detroit market has been scalable services that offer a sliding scale of attention to windows. oodbridge, much like maybe a few other areas, like Indian Village for instance, is a good example of why historic districting is so important for heritage because it’s able to protect those buildings from being demolished in short-sighted thinking. LIW: What have you learned by doing restoration work? oing windows has solidified my thinking that the way that we design products initially need to consider maintenance and repairability. Historic windows were designed to be maintained very easily. You an pull roken glass out and put new glass in. en you pull the wood frames apar, all of the omponents are all made to lock in and out of lace. The window is meant to be pulled completely apart in order to maintain it readily. If a untin or rail breaks off or gets mold o dry rots, you can just replace t, part for part.